Sign up for Broadjam today to follow M26, and be notified when they upload new stuff or update their news! 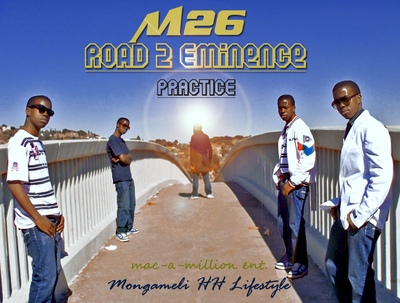 Ambition, Hunger, multi-faceted talent & a grounded character, is a few ways of describing M26 as an artist. Even though these qualities are an understatement, they are the closest relation to this artist in expression of words. Born, bred & raised in the fast world class African city of Johannesburg, South Africa. M26 is no stranger to diVersity. This is reflected through his music with elements of classic, r'nb, pop & other genres within his instrumentals & vocals. 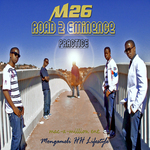 For the love of music at the tender age of five, M26 was was destined to make his own. With the meeting of Luvuyolwethu "LuNo" Noyile and Aaron "Heartbeat" Kaira in High School Mac-A-Million (M-A-M) entertainment was born. He's a Christian which is noticible by no vulgar language presence in his music. He currently a tertiary student, M-A-M Ent CEO, Procuder, Artist, Marketing Manager & artist amongst other things.